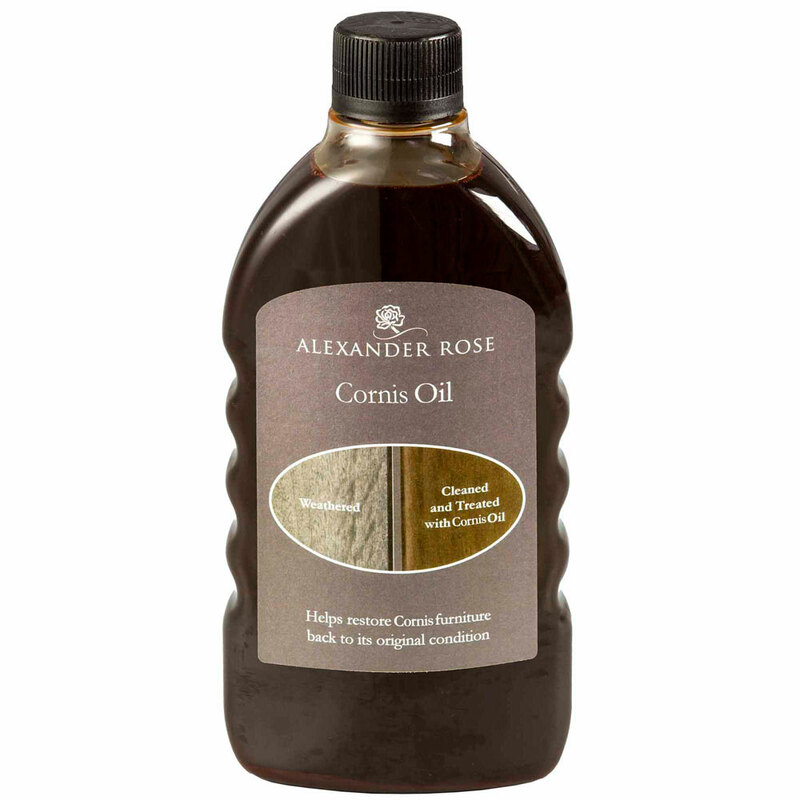 Alexander Rose Cornis Companion Set high quality FSC wood (mix) garden patio seat, provides a perfect dining addition to any garden situation. Alexander Rose quality construction of dense and almost knot-free straight grains of Cornis, with an oiled smooth finish. 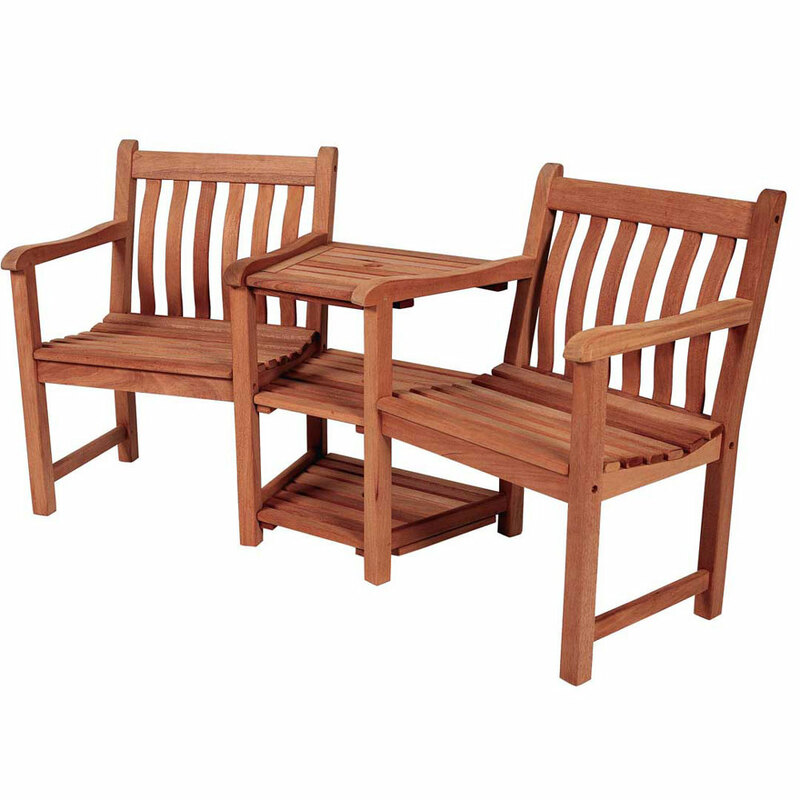 Companion set comprises a combined two seater arrangement with a middle table and parasol holder. Multi-shelf middle table section ideal for placement of drinks, sunglasses, magazines or sharing nibbles. 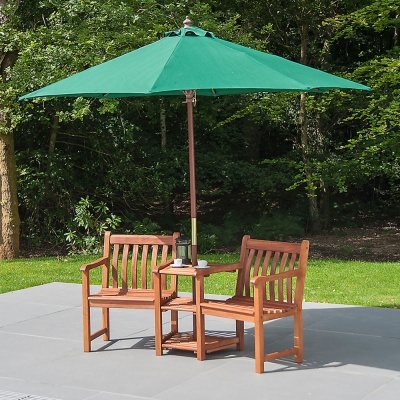 Parasol pictured is not included (suitable parasols are available separately).